It was a dream season for the Packers in 2010. But it will certainly be tough to repeat even with the return of many key vets. 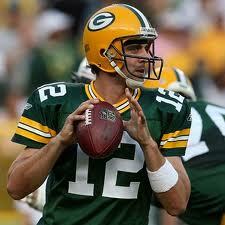 Aaron Rodgers is back after a memorable '10. He has a strong arm and slick accuracy. With Donald Driver, Greg Jennings back and tight end Jeremichael Finley healthy he has tons of options. Ryan Grant must return to form in order to help the Packers repeat. The offensive line lost a lot of talent this off season and needs prospects Bryan Bulaga and Derek Sherrod to step it up. The defensive line also must coup with losses. 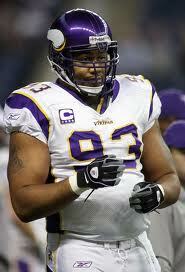 Nose tackle B.J. Raji stuffs up running lanes up the middle while Ryan Pickett can do damage on the edge. The linebacker core is pretty much stacked. Clay Matthews, A.J. Hawk and Brad Jones will lead it. Matthews can do damage when he blitzes or can stop the run. The secondary still has cornerback Charles Woodson and Tramon Williams. Others are also improving in the back. 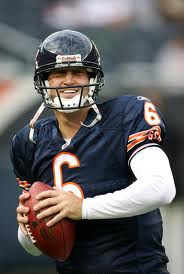 Jay Cutler and the Bears need to prove themselves after both had a horrible NFC championship game. Cutler could be one of the best in the game but he just isn't there yet. One of the problems might be his receiving options, so the Bears signed Roy Williams. The backfield has tons of talent with Matt Forte, Chester Taylor and Marion Barber. Forte has good hands out of the backfield and solid speed while Barber gives Chicago a power back they haven't had for a while. Along with Williams, Devin Hester and Johny Knox are the other top options. Both have great speed but still have to improve at their respective positions. The offensive line is led by Roberto Garza, Chris Williams and Frank Omiyale. The defense has always been the Bears strength. On the line Julius Peppers is still one of the top ends in the league. Vernon Gholston who was a bust in New York will have a second chance in Chicago. Brian Urlacher's golden days are done but he is still effective and Lance Briggs makes plays. The secondary may be a little weak but it will hold up. Kicker Robbie Gould is a beast on special teams and Hester can score whenever he touches the ball in the returning game. I have one question for the Vikings: will new Donovan McNabb really help that much over Brett Favre, Tarvaris Jackson and Joe Webb? McNabb likely will never return to the form that he was in while with Philadelphia. Christian Ponder will start if McNabb struggles. Luckily Leslie Frazier has an explosive back in Adrian Peterson. He is great after the hit and has an interesting mix of speed and power. He held on to the ball more in 2010. Toby Gerhart must improve as the number two. Sidney Rice is gone but the receiving core is headed by new Michael Jenkins, Percy Harvin and Bernard Berrian. After a bad '10 Berrian's attitude has the Vikings hopeful in 2011. The offensive line is somewhat of a question mark with a lot of young players likely be forced to start. The defensive line has always been a strength for the Vikings and still will be even with the loss of Ray Edwards and Pat Williams. Remi Ayodele was underrated with New Orleans over the years and will help Kevin Williams. Chad Greenway and E.J. Henderson will lead the linebacker slots. Antoine Winfield is a beast in the secondary. With the signing of Ryan Longwell the special teams will be fine. No question about it: the Lions are improving. Detroit is a pass-first team so Matthew Stafford will be important as ever to the Lions' hopes. Jahvid Best is a dangerous back and Mike Bell is powerful in the backfield. 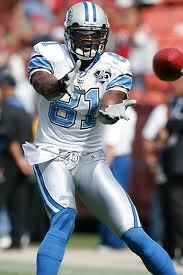 Calvin Johnson has matured into one of the top receivers in the NFL with his speed and size. With Nate Burleson teams won't be too quick to double team Johnson. The offensive line is led by Dominic Raiola, Jeff Backus, Gosder Cherilus and a number of others. The defensive line keeps improving. Ndamukong Suh is a beast and he won't shy away from the pressure. Kyle Vanden Bosch and Cliff Avril make plays on the edge. With Stephen Tulloch, DeAndre Levy and Justin Durant the linebacker core is getting better but it still has a lot of holes. The secondary is the weakest position on Detroit but the Lions really like safety Louis Delmas. Nathan Vasher won't start and has definitely declined but he was an interesting pickup. Kicker Jason Hansen and punter Donnie Jones are good.